It was made from original engine, 8 color model, so can print on dark garment with CMYK+WWWW to get a good white ink density. Fast printing speed by print on A4 size shirt printing machine with full color only need 64 seconds 2880dpi max. printing resolution can let you print on any textiles with best result and vivid color. 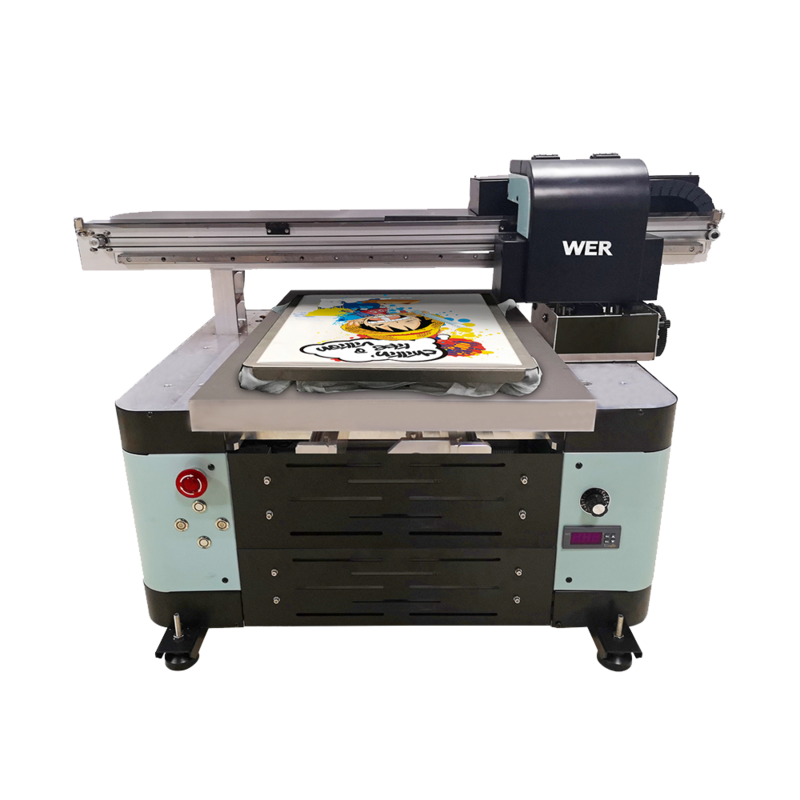 Traditionally people use sublimation printing to custom print t shirts. With this way, shortcomings are very obvious: only white shirts can be printed and hard hand feel. Now with ED4060T, these problems can be very easily solved. It is able to custom print any color t shirts with simple operation. And it has a very competitive price, everyone can afford it. From years of printing experience, this printer has very stable print performance, get good feedbacks from customers all over the world. 3. Remove the sticky tape to release the belt of Print-head carriage, and check other parts. Static electricity is too high, which will burn out the printer head. A:The Operator need to mak electrostatic eliminating treatment and wear the Anti-static devices if possible to prevent the high static load form burning the circuit board inside of the printer head.